More than 70 organisations across Asia Pacific and the globe have signed a statement to demand that the Government of Malaysia and police immediately investigate the death threats against BERSIH 2.0. Chairperson Maria Chin Abdullah and her family members, ensure their safety and security, and bring perpetrators to justice. 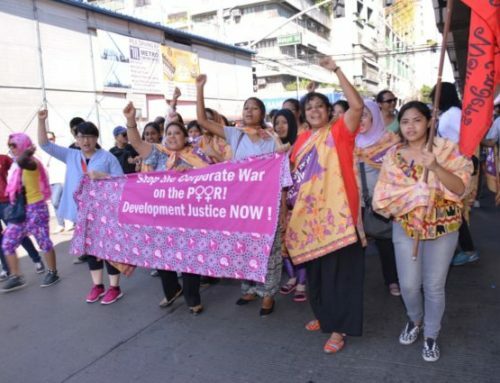 “The threats to Maria and her children are part of a systemic attack on human rights and democracy while taking a particularly vile, gendered form” said Kate Lappin, Regional Coordinator of Asia Pacific Forum on Women, Law and Development (APWLD). 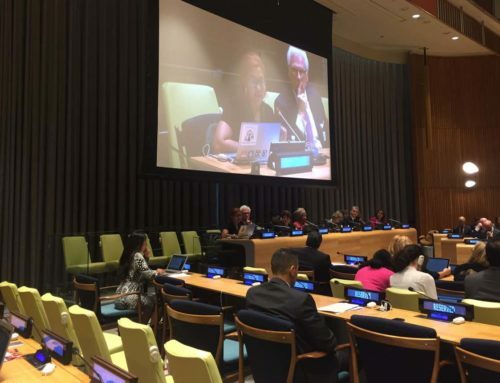 “When the government itself attacks the work of peaceful human rights advocates, it’s not surprising that extremists feel emboldened to make threats with impunity. We are calling on government and police to meet their obligations to protect the rights of human rights defenders and their families,” added Kate. On 18th October 2016, Maria Chin received death threats against her and her family via WhatsApp messages, purportedly by local Islamic State (IS) terrorists. On 20th October 2016, a car belonging to Maria’s son was splashed with red paint at her residence. On 29th October 2016, Maria was detained by the police for distributing flyers to promote an upcoming BERSIH 5 rally. 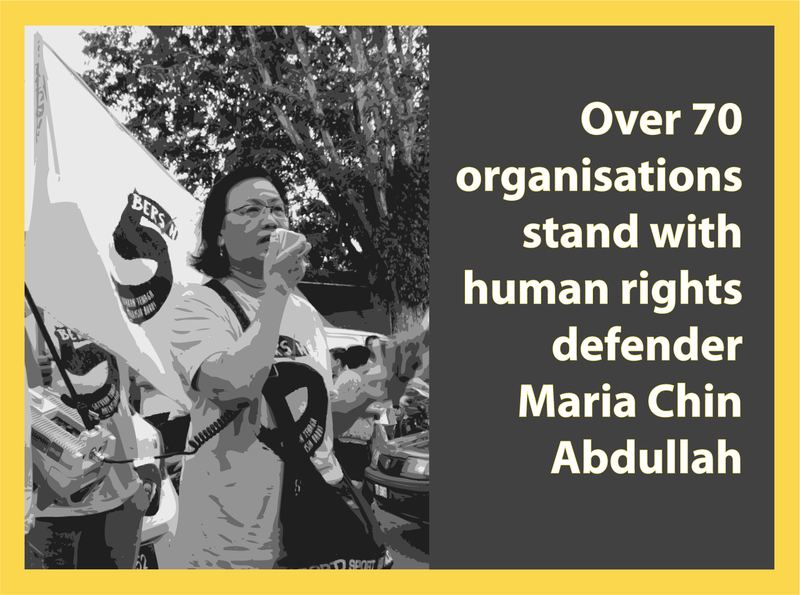 The Malaysian Government itself has been complicit in harassing and leveling charges against Maria Chin for organising and participating in peaceful actions. State sanctioned harassment and efforts to portray Maria and BERSIH as threat to national security or unity emboldens extremists and creates a permissive culture for threats. 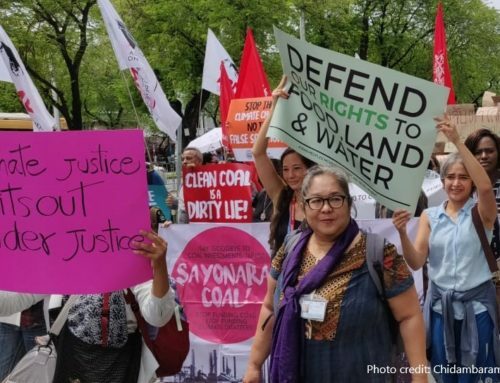 The organizations also urge the Malaysian Government to immediately and unconditionally withdraw all charges against Maria Chin Abdullah under the Peaceful Assembly Act 2012 and Printing Presses and Publications Act 1984. Please click here for the entire list of signatures (both organisational and individual). 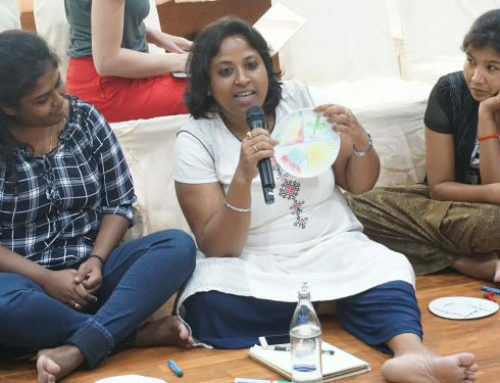 Through Bersih, human rights defenders like Maria have led some of the largest peaceful assemblies in the history Malaysia which created democratic space for their fellow Malaysians to speak out in public. She has served as the National Women’s Coalition president and All Women Action Society (Awam) president. 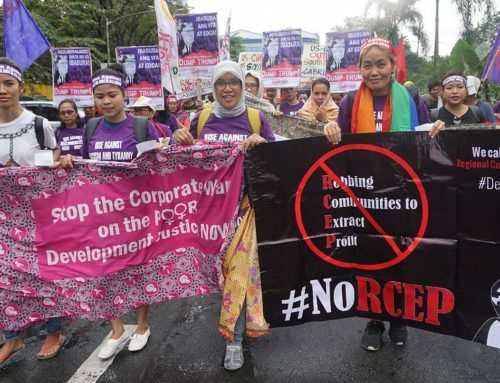 She was also executive director of the Women’s Development Collective and executive director of APWLD member, Persatuan Kesedaran Komuniti Selangor (Empower). She has been recently awarded the prestigious Gwangju Prize for Human Rights. BERSIH started out as the Joint Action Committee for Electoral Reform, which was formed in July 2005, and the coalition’s objective was to push for a thorough reform of the electoral process in Malaysia. BERSIH was officially launched on 23 November 2006 in the Malaysian Parliament building lobby. The time came for BERSIH to continue its crusade for clean and fair elections independent of any political party. BERSIH was thus re-launched as BERSIH 2.0, a coalition of like-minded civil society organisations unaffiliated to any political party. Their aim is to effectively monitor both sides of the political divide.